Growing your own vegetables can reduce your grocery bill, but if you spend all of those savings on gardening supplies, you won’t actually come out ahead. I like for my money-saving strategies to actually save me money, so I get as many gardening supplies as I can at discount stores. 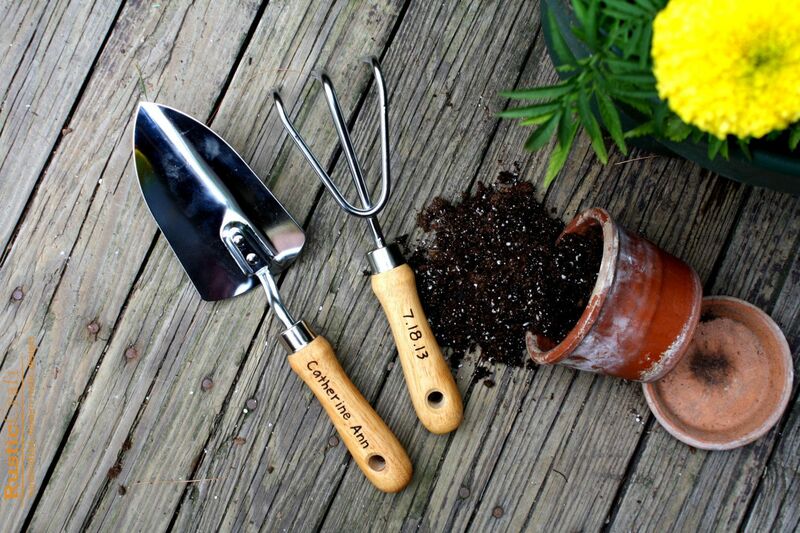 Here are 10 amazing dollar store gardening tools to stock up on before entering into this year’s planting season. A simple plastic mister from the dollar store can serve so many purposes in your garden. Fill one with plain water to hydrate seedlings–or to cool yourself off on a hot afternoon. Keep others filled with weed control, pest control, and fertilizing sprays so that you’ll always have these handy concoctions ready to go at a moment’s notice. Just be sure to label them clearly so that you don’t mix up which solution is which! 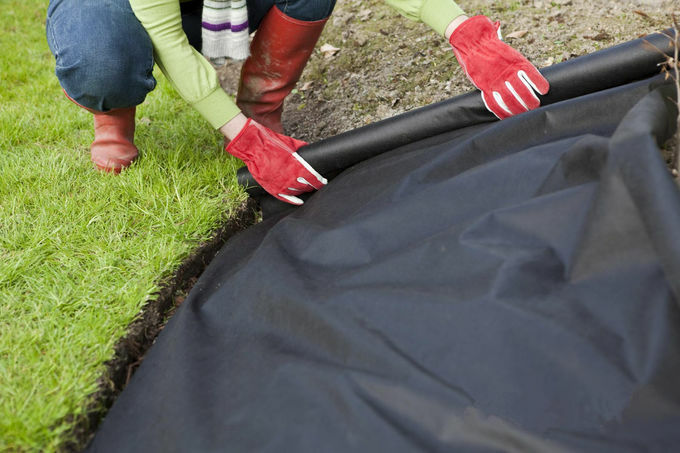 Laying down strips of barrier fabric in your garden before planting will help keep weeds at bay all season long. If you hate pulling weeds as much as I do, this material may be worth just about any price to you. Still, why pay more than you have to? Dollar stores sell rectangles of weed barrier fabric for much cheaper than other retailers. 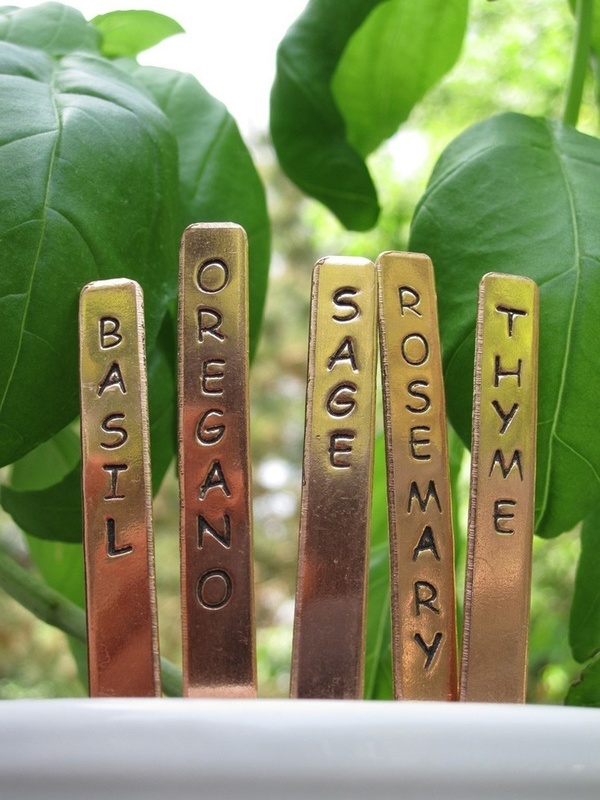 One of the cheapest and easiest ways to mark the plants in your garden plot is with wooden craft sticks. Simply write the plant name on one end of the stick with permanent marker and poke the other end in the ground. The sticks will do the job just fine in their basic form, but you can also decorate them with acrylic paints to add a splash of color. 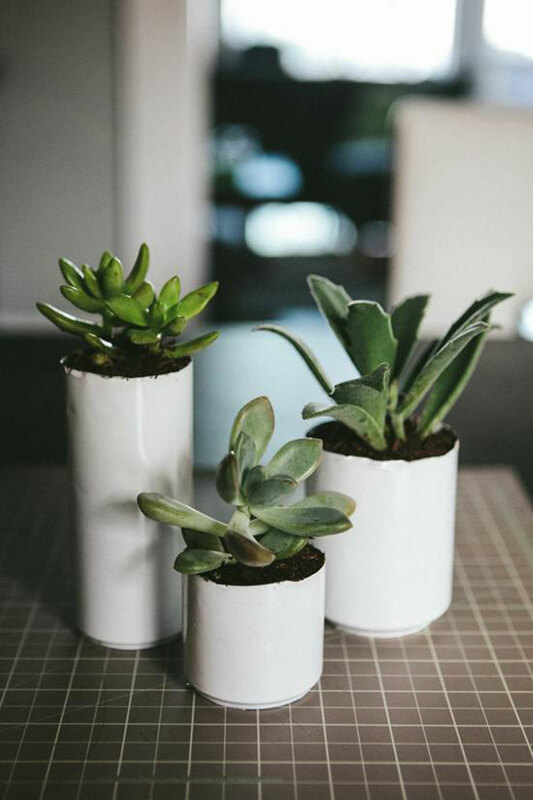 Instead of planting your herbs and flowers in boring pots, take a stroll down the kitchen aisle of your dollar store and see what cute containers you can find. Keep your eyes open for attractive gravy boats, coffee mugs, baking dishes, and more. Placing a layer of gravel at the bottom of the container before adding soil will help with drainage. Watering cans are just molded plastic. They shouldn’t really cost all that much, yet they can be quite expensive when purchased from garden shops or outdoor stores. A watering can from the dollar store will do the trick just as well at a fraction of the cost. You might even spot mini-sized ones that your small helpers can tote around. 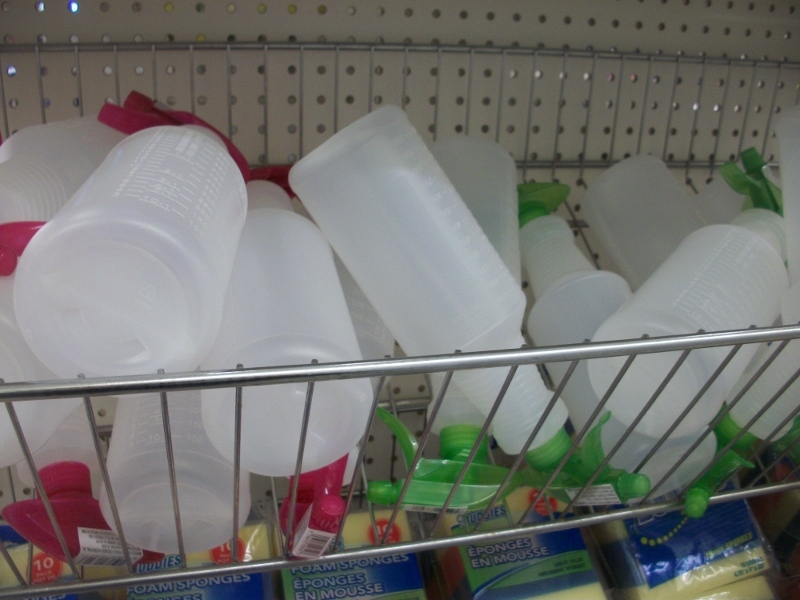 Nothing beats the dollar store for a wide selection of plastic containers of all shapes and sizes. These are great for organizing your gardening supplies. Use them to hold seed packets, tools, gloves, spray bottles, and more. Use a caddy with a handle to store the items that you need with you as you work. 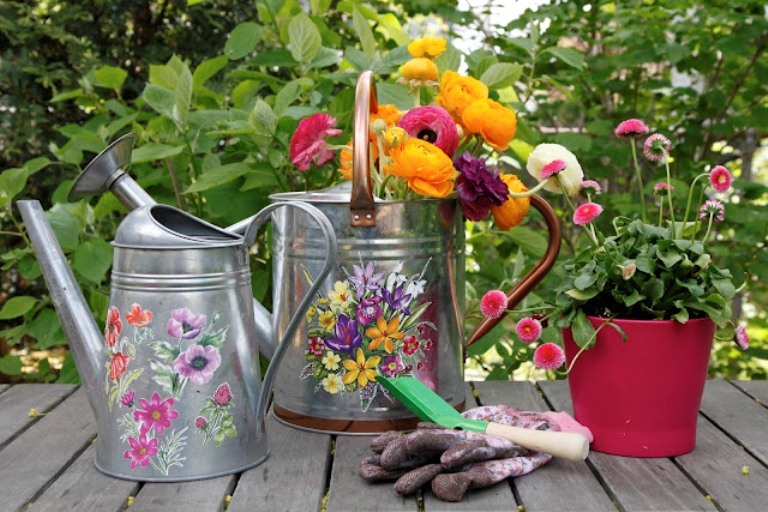 Stow a trowel, a pair of gloves, and a bottle of water for your own hydration, and you’ll be able to carry all that from spot to spot around your garden. Gardening is supposed to be relaxing, but it’s hard to feel calm when your knees are sore. A simple foam knee pad from the dollar store can prevent strains and bruises. To dress up a basic knee pad, use acrylic paints to stamp on a design. Let’s face it: Gardening gloves from the dollar store may not last you as long as more expensive ones. For your number-one, go-to pair, you might want to invest in something a little more expensive. However, cheap dollar store ones are great for giving to your kids. They’re also handy for taking along when you’re doing outdoor work away from home and don’t want to risk losing your good ones. You can even use them for those really messy gardening jobs and then toss them when you’re finished. As with gloves, you probably won’t find top quality gardening tools at the dollar store, but that by no means makes these items worthless. If you’re not digging in particularly hard or rocky soil, a cheap trowel should do the trick just fine. Dollar store shears can do also do a good job at snipping lightweight plants. Plus, if your tools are inexpensive, you won’t need to stress about losing them. Consider keeping an expensive set off to the side for the tough jobs and put the dollar store ones to work for everyday tasks. The dollar store even carries small packets of seeds! Variety will be limited, and the packages may be small. 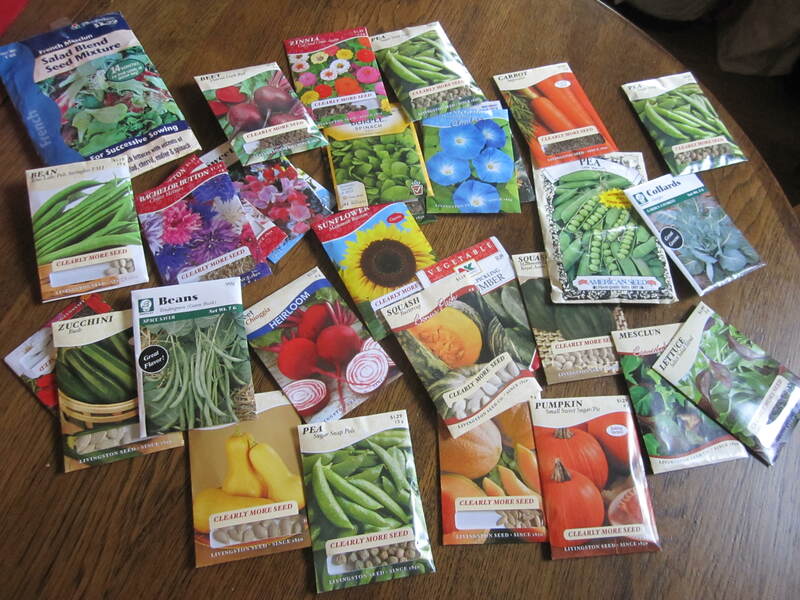 However, this is a great way to stock up on seeds that you don’t need a lot of. For example, a dollar store packet will give you plenty of seeds for filling a flower pot. Use a small packet to try your hand at a new crop for the first time before dedicating a large plot of land to it. Which of these dollar-store finds jumps out at you? Every time I browse the aisles of my local discount store, I discover a new treasure for my gardening toolbox. If you’ve found one I should try, post it below. Also, be sure to let me know how the dollar store items on this list work for you.